The date for DSF (Dubai Shopping Festival) has been announced. All the world media is in a tizzy regarding the news, and rightly so. DSF is the world’s biggest shopping festival; people of all nationalities wait with baited breath for the festival. They plan ahead for the whole year, and go crazy at the festival. So, you can imagine the crowds that will be at the upcoming festival. You should also start planning a vacation during DSF, and be part of the phenomenon. If you are still not convinced, here are a few lesser known facts about DSF that will make you want to immediately go there. 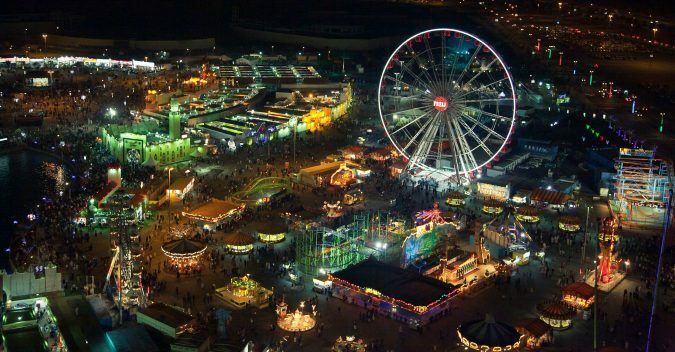 It is cheaper to go to Dubai during the DSF than any other time of the year. Just take a look at some of the DSF packages 2017-18, and you will realize that there are many offers ongoing that give huge discounts. Tour operators are competing to get customers which results in a lot of healthy competition that is actually beneficial to the customers. Furthermore, there are discounts on other tours like desert safaris, Burj Khalifa, dhow cruises, deep sea cruises, etc. Therefore, DSF is a great time to score an awesome deal for complete Dubai vacations, and for checking out all the wonderful attractions of the city. You are guaranteed to save quite a lot money with the discounts – money that can be used for more shopping. When you go to DSF, you have every opportunity to come back richer than you are, How? By taking part in the raffle draw. 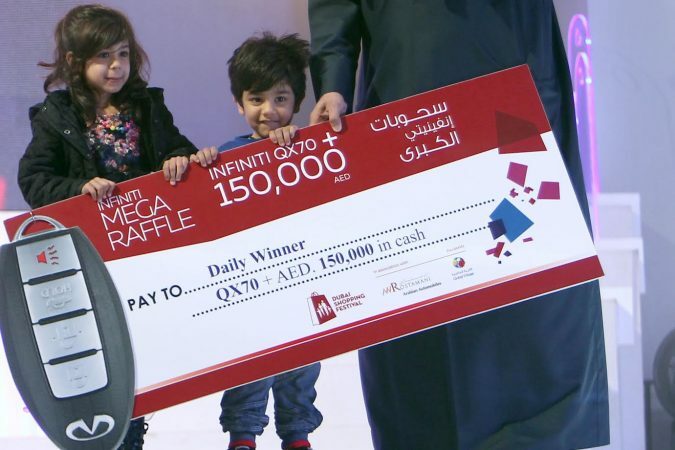 The DSF raffle is probably the most extravagant raffle in the world. The prizes are simply unbelievable. The biggest prize is a super luxury car. Then there are also around 40 luxury cars with one given away each day. There’s a cash prize of Dn 100,000 to 150,000 (the amounts may change) and then there’s also 100 kg worth of gold and gold jewelry. All of this can be won just by buying raffle tickets. Draw takes place live at 10 pm on T.V. every night. Good luck! All retailers in Dubai take part in the festival, and there’s fierce competition to get the most customers. One way they attract customers is by arranging entertainment shows by celebrities. The malls with deep pockets arrange for international and national celebrities to the put up song and dance musical shows, live concerts and more. The streets are full of street magicians and performers like jugglers, comedians, illusionists, and more. The streets feel like you are a part of a live carnival. So, this is one of the best times to catch your favorite bands, or celebrities in performance. All of this is for free. Now imagine, if you had to buy tickets, you would have to pay a bomb to see such talented artists live. Everybody knows that during the festival, you get the best things for huge discounts, but ever wondered how is it possible for things to be so cheap. One main reason is that Dubai is a tax-free city. There are absolutely no taxes on any products. Tax is considered to be haram, meaning forbidden, in Islam. And despite U.A.E. being a tourist haven, it is still a religious country that is well-grounded in its roots. They adhere to their traditions wholeheartedly. Therefore, the tax free status helps keep prices on products down, and then coupled with discounts of DSF, you get them for an unbelievable price. Mind you, retailers still do make a profits on the products. So, it is a win-win situation for the buyers and the retailers. Dubai being an international shopping destination, is also a fashion forward city. There are fashion shows being held throughout the year. So, you will find all the latest merchandise for sale during the DSF. Most brands launch all their best products in Dubai. They have their high-end stores all over the city, and they are also a part of the DSF. Owing to the tax-free status, all this great stuff is already priced low, and add the DSF discounts to it, you will be walking away with the latest trendy wear for a dream price. Another way to score good clothes and accessories is by buying them off-season. Since DSF is in the winter season, buy good summer clothes. They will be priced quite low. 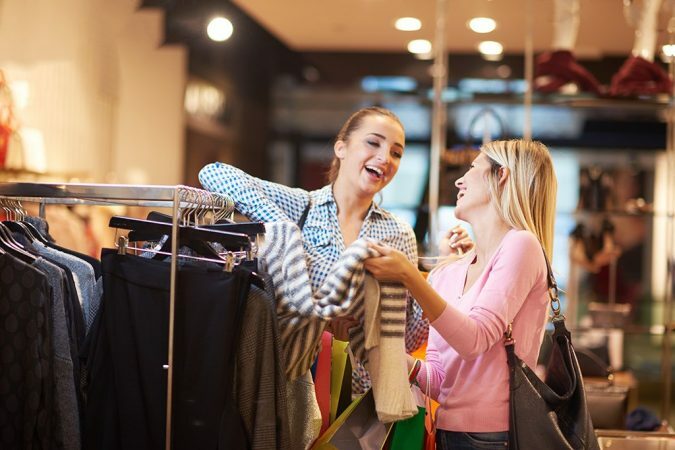 So, shop in Dubai and impress your friends and also make them a little jealous with your trendy style. Where else in the world will you get to sample and eat cuisines from all over the world, prepared by the best chefs? only at DSF. All over the city, there are restaurants and food joints that hold sampling sessions for tourists. 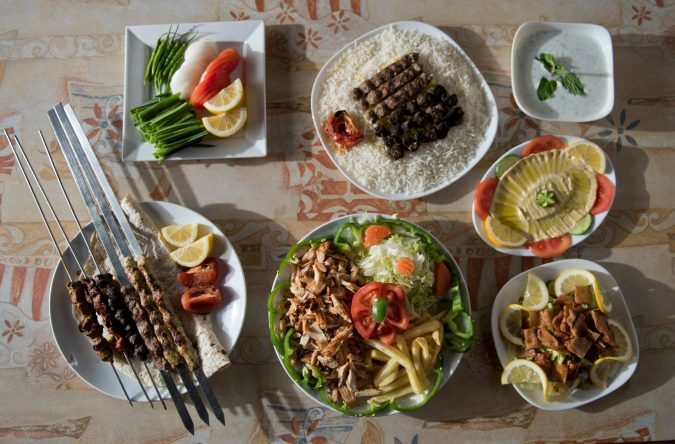 This is a great place to try cuisines that you have never tried before. If you like, you can buy more and eat to your heart’s content. 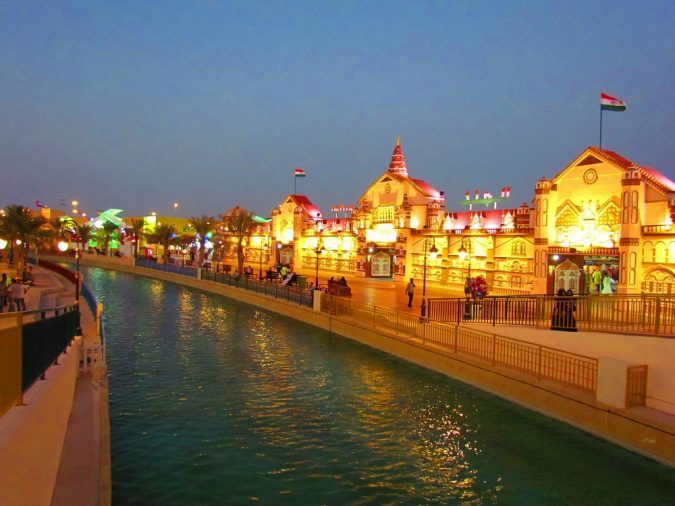 There’s also the Global Village, an open-air theme park that hosts kiosks and pavilions from many countries from around the world. They also have cooking corners where you can sample amazing food from these countries. Therefore, when you are at DSF, be sure to come here at least for the food. It will be an unforgettable experience you’ll never forget. Speaking of Global Village, this place is one of the prime features of DSF. Global Village had a humble beginning in 1996, with just a few kiosks set up on the Creek Side. But today, it has over 6 million visitors with a majority of them coming during the DSF. Owing to its popularity, Global Village has shifted to OudMetha in Wafi City. 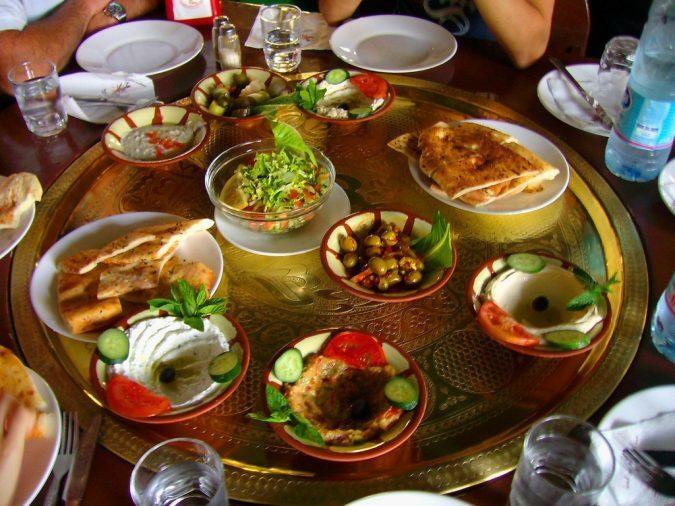 You can experience, food, cultures and products of more than 75 countries. It is one of the most popular places in DSF, and is a must-visit. Now this is something unique to DSF that is also being emulated across other shopping festivals in the world. All over the city, you will encounter messages and campaigns by the health ministry creating health awareness. These campaigns will also guide you to the places where you can get free health checkups done. 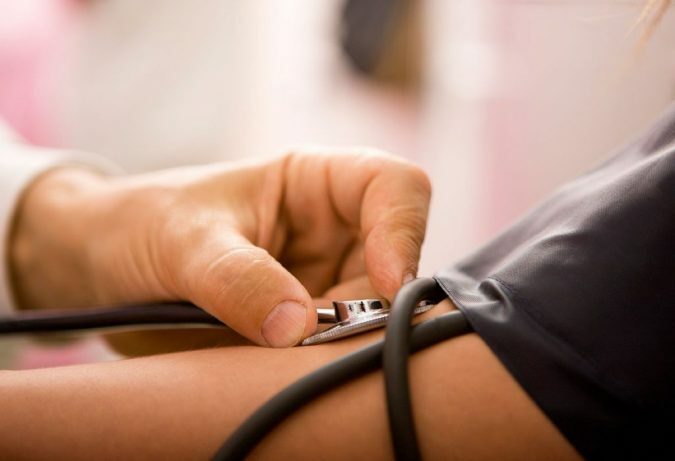 At these free clinics, you can get your sugar-levels, blood pressure and BMI checked. If any conditions are found, there are doctors who will guide you. Then you can seek appropriate treatment once you are back home. This health check initiative has garnered much admiration from the tourists, and many of them get themselves checked during the festival. Everything about the DSF is grand, so why not the opening and closing ceremonies. Both of them are so elaborate and spectacular that many tourists plan their tour dates in such a way that get them to see either of the ceremonies. 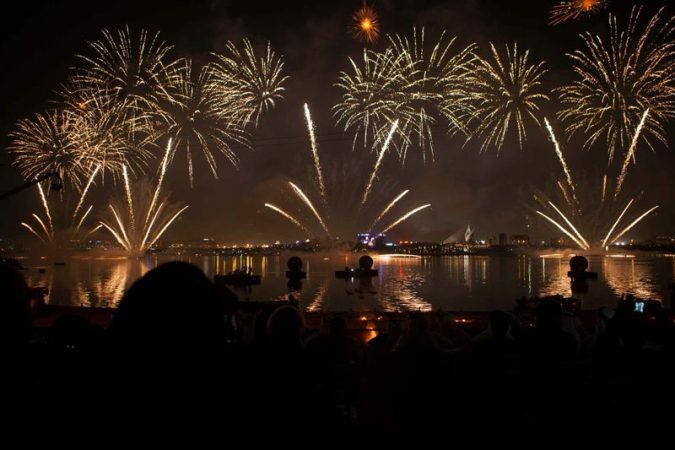 There’s light, sound and fireworks that light up the night sky from the Dubai Creek. Months and months of preparations go into creating these shows and no stone is left unturned for the event to be a mega success. You too can plan your DSF trips accordingly to catch the opening or closing ceremonies. 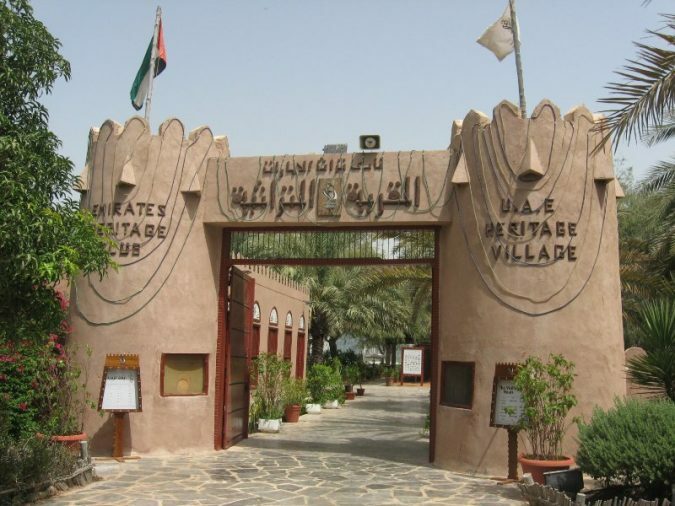 During DSF, the heritage of U.A.E. and Dubai is on display in the fullest, as this is one of the best times to show the world the rich history and traditions of the Emirati people. Heritage Village takes center stage during this time. There are displays that recreate the desert life. You can also buy authentic crafts and artifacts of a bygone era at stalls set up by artisans. 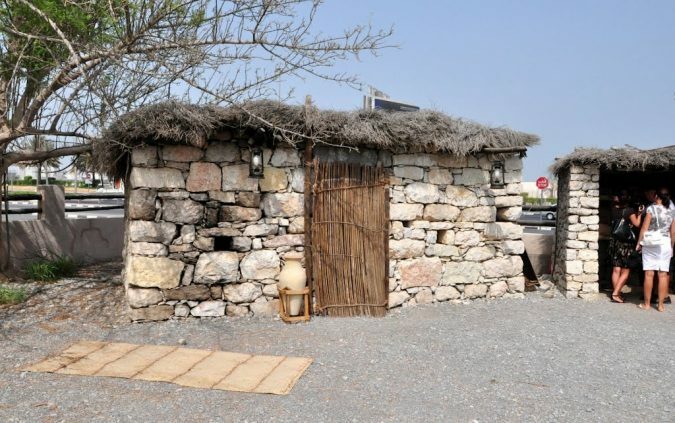 At the Diving Village, you will get to see up close Dubai’s history in pearl diving. 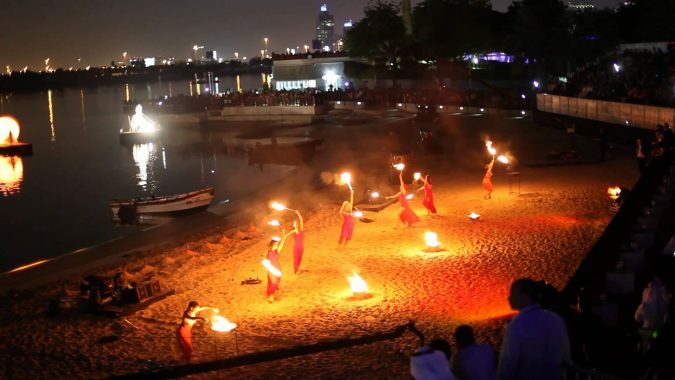 Before the economy boom, Dubai used to be a pearl diving country. So, make good of this opportunity, and get to know the history and heritage of Dubai, you will surely fall in love with it even more. 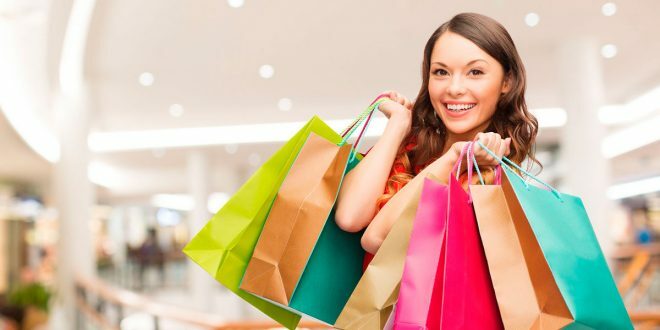 The shopping festival in Dubai is something every international traveler and shopping enthusiast must experience at least once in their lifetime. 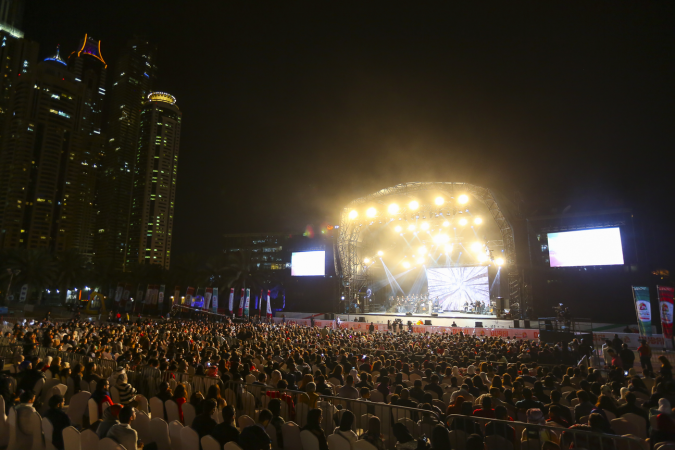 The sheer size and grandeur of the festival is so true to what one expects from Dubai that you will be surprised throughout your time in Dubai. The glitz, glamour, and the experience cannot be found or replicated anywhere else in the world. Over the years, DSF has become the heart and soul of this city. It is so much more than just shopping. It is an experience that will stay with you for the rest of your life. 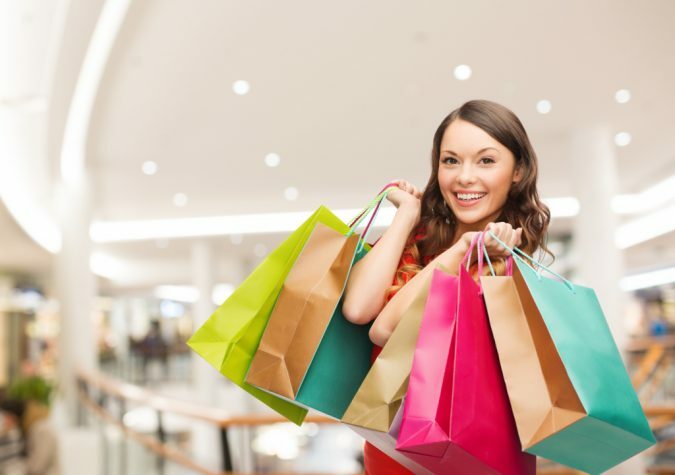 Don’t wait anymore, check out DSF dates, and plan your shopping vacation.